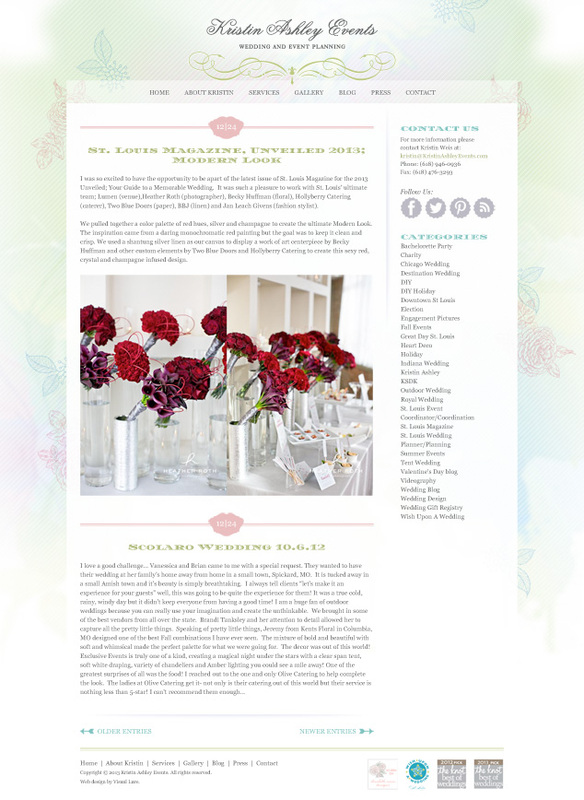 Visual Lure was recently contracted to design a new WordPress website/theme for Kristin Ashley Events. 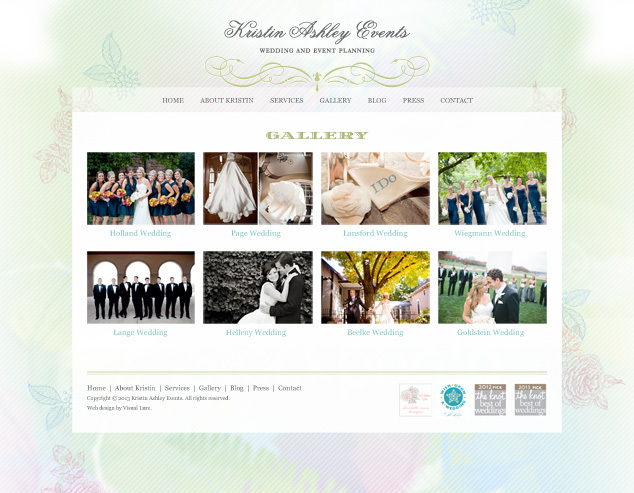 Kristin Ashley Events is a St. Louis wedding planning and event coordination company headed by the very talented Kristin Weis. Kristin wanted the new “look and feel” to be clean, soft, appealing, and a little more feminine. 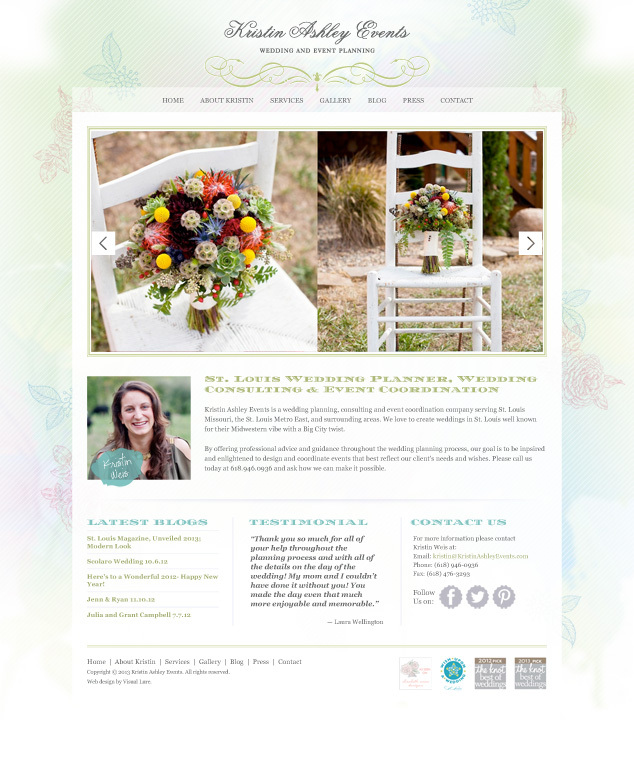 Their current website was built in WordPress, so the new website will simply be a theme upgrade. Visual Lure will also be providing search engine optimization (SEO) services. Below is a sneak peek at a couple of the main web pages. Check back soon for the official website launch.